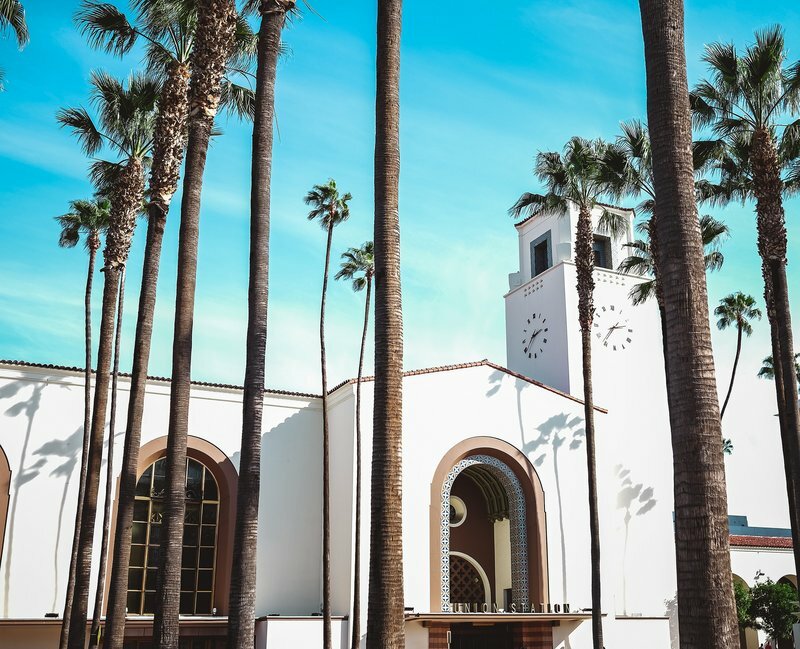 DETAILS: Built in 1939, Los Angeles’ Union Station still connects the city to the rest of the southland via rail. The building itself is a combination of various architectural styles, but the Mission Revival exterior is a nod to California’s history. And, the iconic palm trees festoon the facade with their dancing shadows.